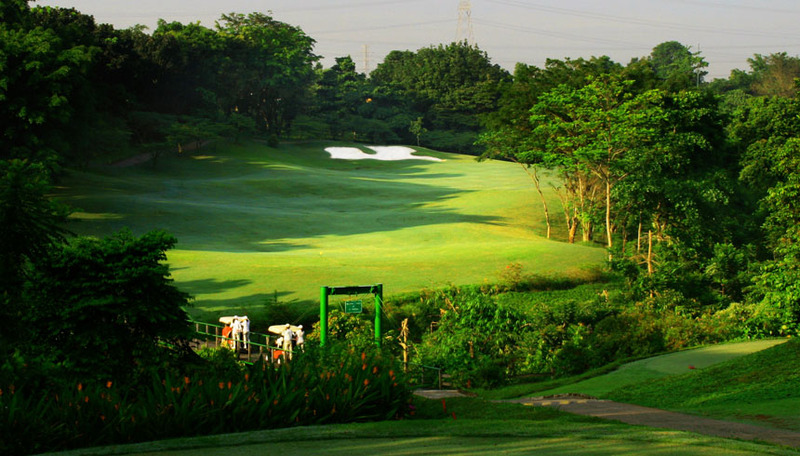 Riverside Golf Club is a challenging 18-hole par 72 course set along the Cikeas River and 30 kilometers from central Jakarta. 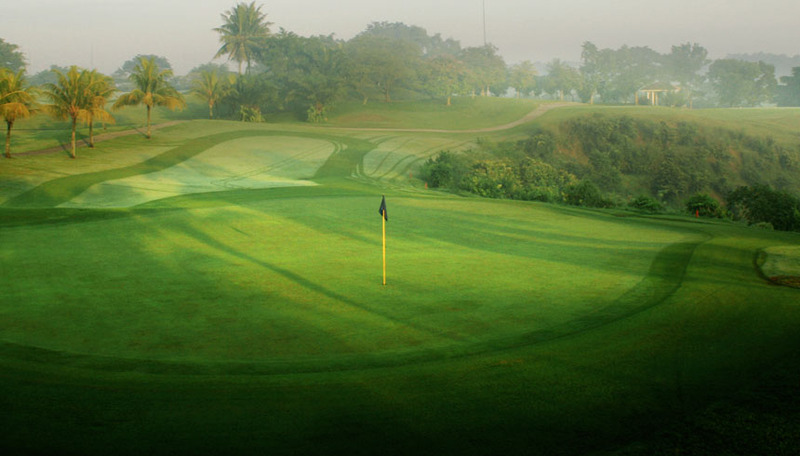 The first Greg Norman-designed course in Indonesia opened in 1994. 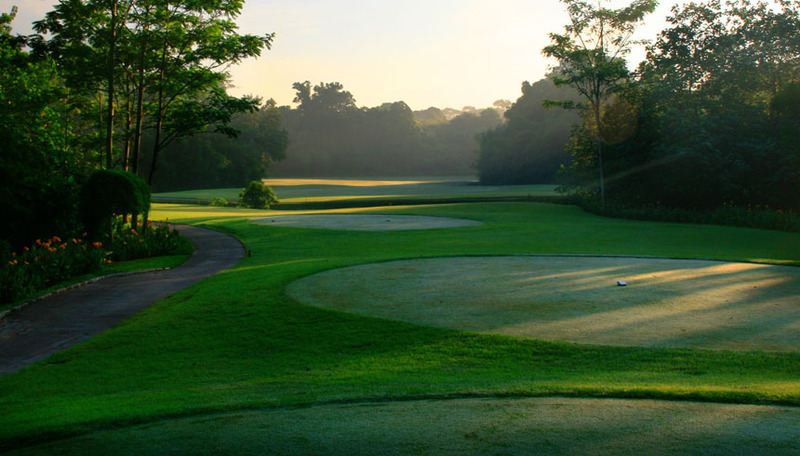 Course routing makes use of the original hardwood rain forested jungle and offers players a real test of golf. 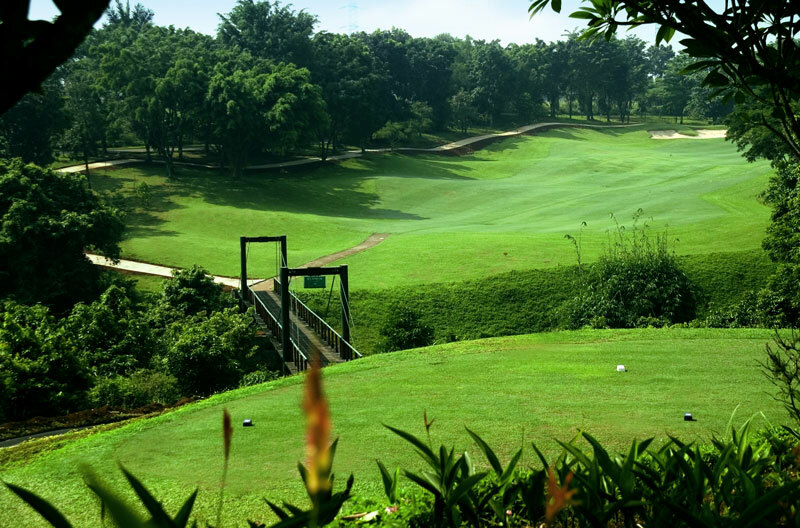 Ninety hectares of the jungle with the dramatic topography was used to create Riverside Golf Club. 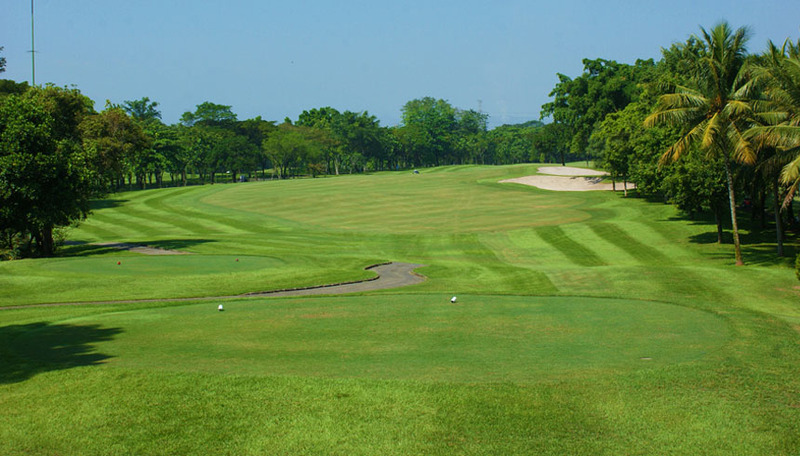 Fairways are generally rolling with areas of open spaces for landing. 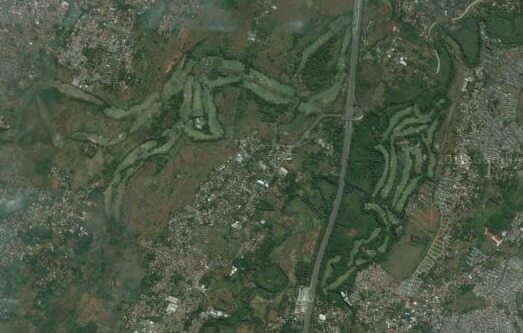 Many of the holes though play over ravines and cross rivers and streams. 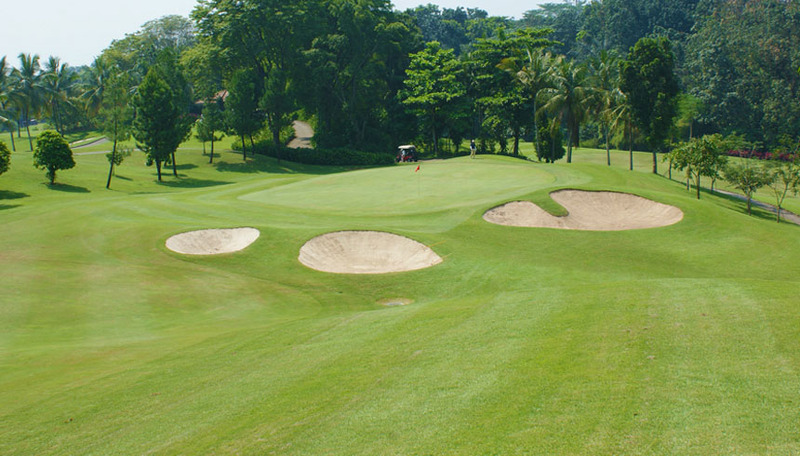 Most greens protected by large stands of trees and lush forest. Riverside Golf Club favors very long hitters. 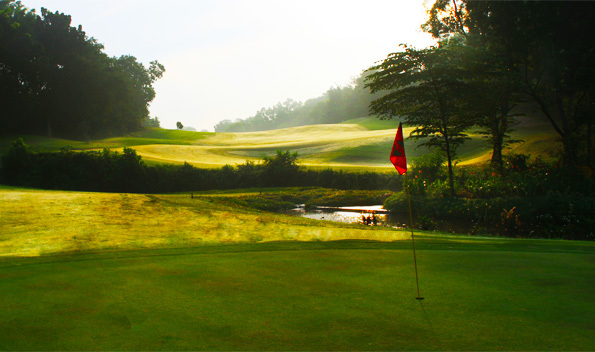 Three of the four par-3 holes require a long carry across the water with little room for error. 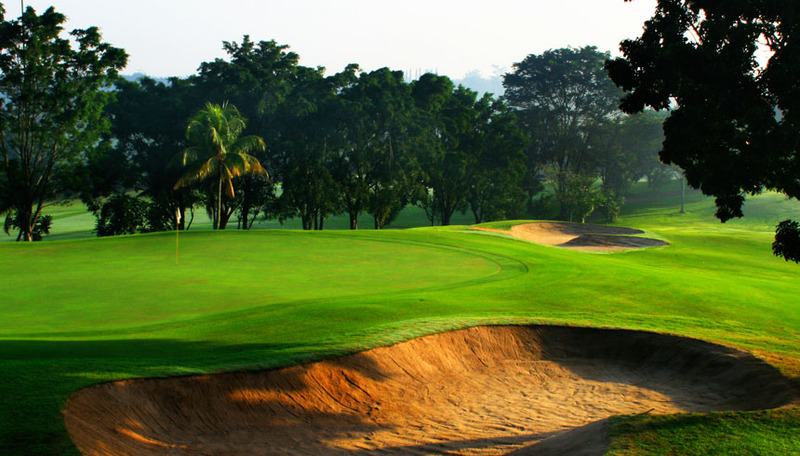 Many of the par-4 and par-5 holes play to blind greens that are neither visible from the tee or the fairway. 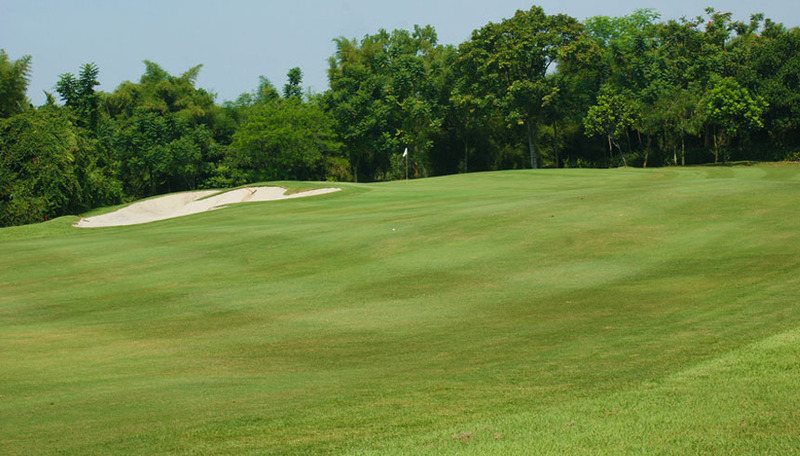 Moreover, several of the holes are long doglegs where even bogeys are good scores. 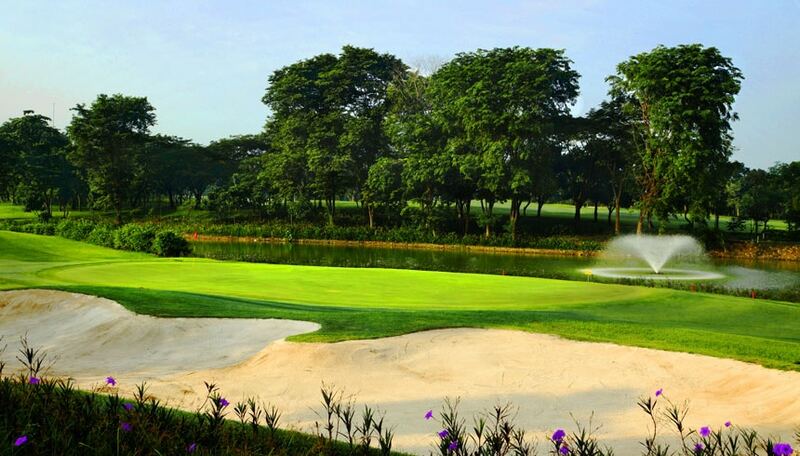 A few of the most interesting Riverside golf holes include the fifth. 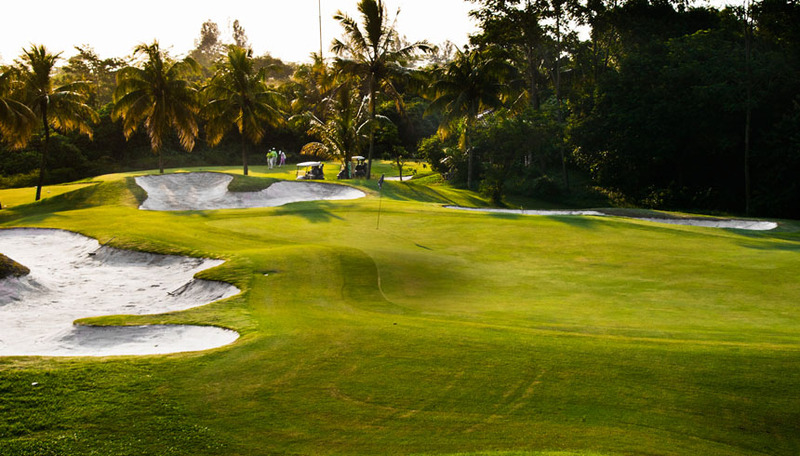 This downhill par-4 requires an accurate approach shot to land safely on a green surrounded by water. 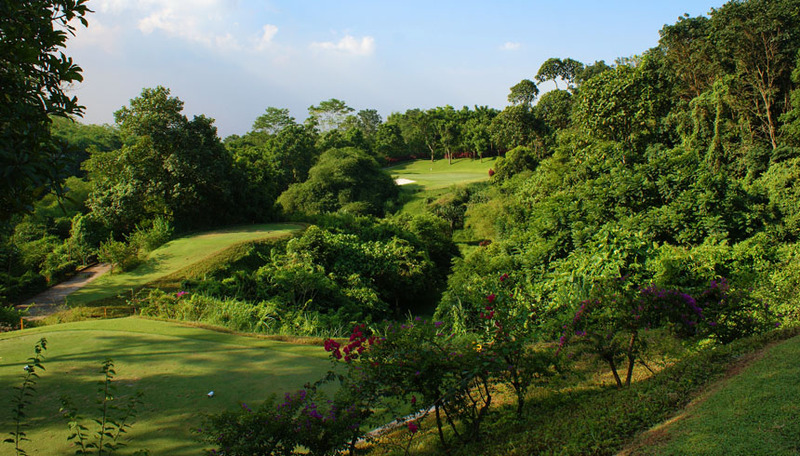 The par-5 seventh is a double dogleg through the jungle that needs two consecutive well-placed shots to have any change to view the green on the third. The signature fourteenth is an excellent par-3 that is all carry over a huge ravine. The clubhouse although looking a little old is well placed and overlooks the eighteenth green. 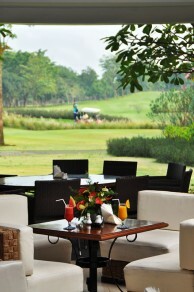 The open-air restaurant is pleasant enough being surrounded by mature hardwood trees. 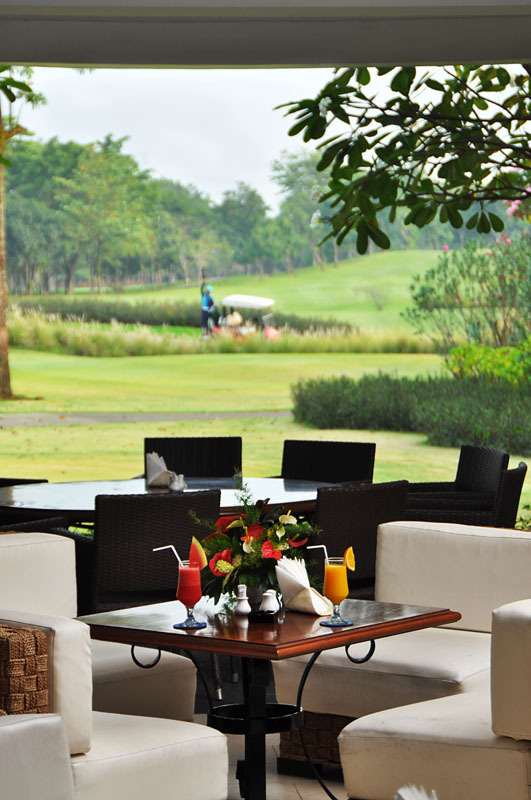 Facilities are adequate to meet most golfers’ needs and include a pro shop, locker rooms, and grass driving range. 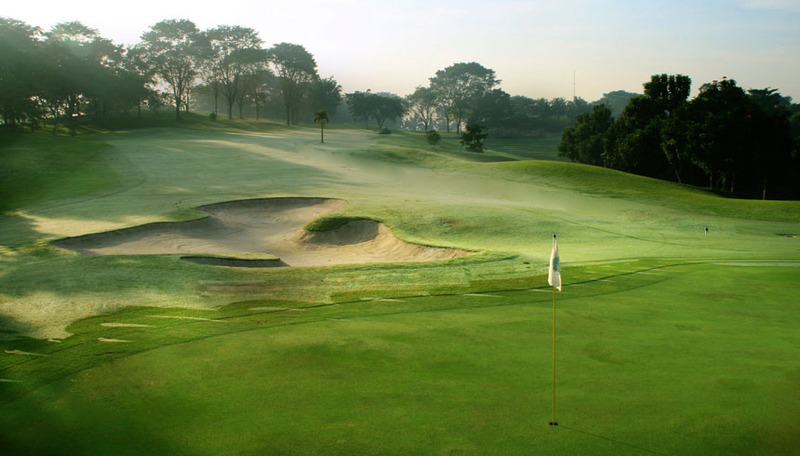 The practice green and chipping areas, however, need repair and probably better left unused. 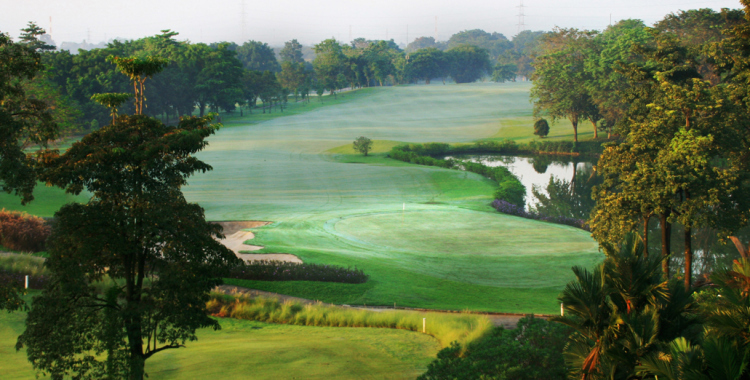 Riverside Golf Club outside Jakarta is an excellent example of a challenging Norman design and will be enjoyed most by top-ranked golfers looking to challenge their game. 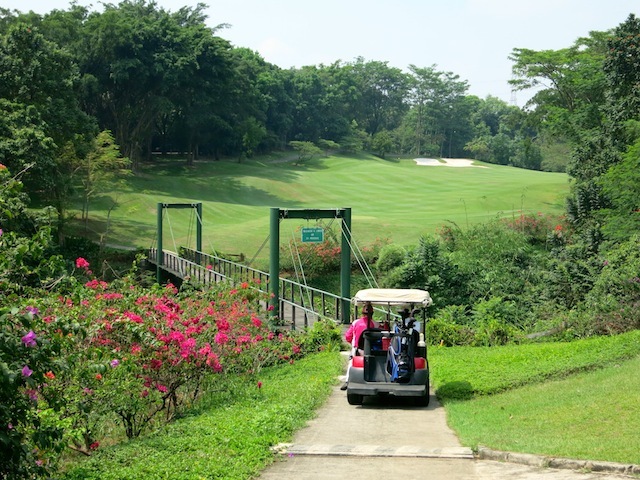 Have you played golf at the Riverside Golf Club and took some nice photos that you would like to share with other golfers? Send them to us and we may upload them here. Thank you in advance!